Joseph was killed in action in the La Basse area, on the 5th February 1916. He was 27 years old. According to the 1891 census, Joseph was born in Rhuddlan in about 1889. He was the son of William and Sarah Parry. William’s occupation is given as “stone mason”. According to that census Joseph had an older brother Bernard. The family spoke only Welsh and were living in Castle Street. The 1901 census records the family living at 21 Cross Street. It has increased by the birth of another son Thomas. William’s occupation is unchanged and they are now reported to speak both Welsh and English. The 1911 census, records the family’s composition as unchanged. William, now aged 69 is still a stonemason. All the boys are in employment, Bernard as a Bricklayer, Joseph as a Furnace Attendant in Foundry and Thomas as an Iron moulders Apprentice. The family were still in Cross Street, which the census described as a three roomed house [including the kitchen]. A bit of a tight squeeze! 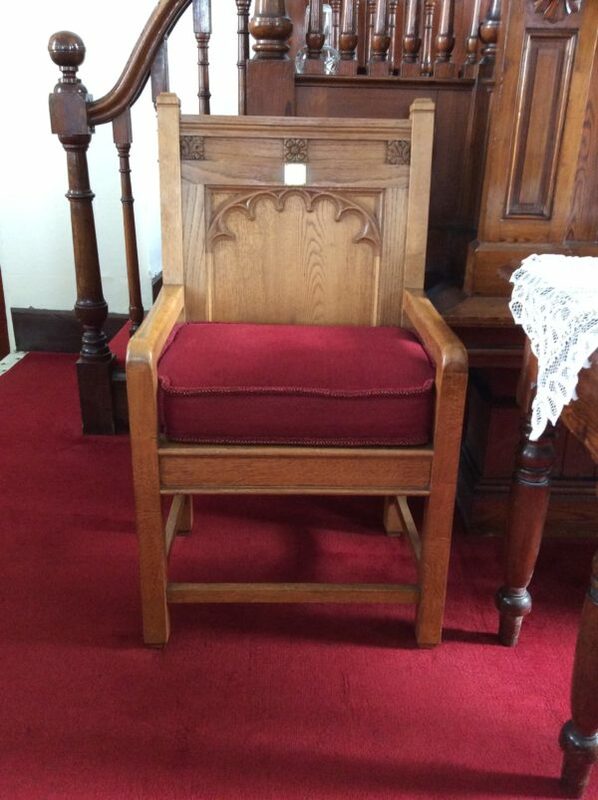 As Joseph is commemorated on the Memorial Chair in Ebenezer Chapel, the family would have been Chapel members. Rhuddlan boasted an Iron Foundry producing high class agricultural machinery of international repute. I have been unable to locate any military records on Ancestry, but he has a Flintshire War Memorial Record Card at Hawarden. That records his death on the 5th February 1916 and confirms his address as Cross Street. It indicates that the period of his military service was 2 years and 8 months. If that is correct, he must have enlisted in July 1913, before the outbreak of war. His death, “somewhere in France” is reported in the Rhyl Journal of 26th February 1916. The report refers to a letter of condolence from his C/O Cpt. W.H.Stanway in which he describes how Joseph, with others, was preparing to storm a German Crater, when they were killed by a German shell exploding nearbye. The newspaper report continued, although a survivor of the battle of Loos and Neuve Chapelle, Joseph had, during a recent period of home leave, expressed a premonition that he wouldn’t return. Joseph was a bachelor, his sole legatee for the payment of the War Gratuity, as recorded on 11th July 1919, was his Mother Sarah. His Father died in September 1914 [headstone in Rhuddlan Churchyard] his mother in December 1942. Joseph is commemorated on Rhuddlan War Memorial, St Mary’s Church Scroll of Honour & Window, the Royal British Legion Roll of Honour [in the Community Centre] the Memorial Chair in Ebenezer Chapel, the North Wales Memorial Arch at Bangor, and the family headstone in Rhuddlan Churchyard.